Actually, choosing to babble back to a baby is a great instinct. Babies love hearing you mirror their speech sounds right back to them—and doing so encourages them to continue with their own babbling. 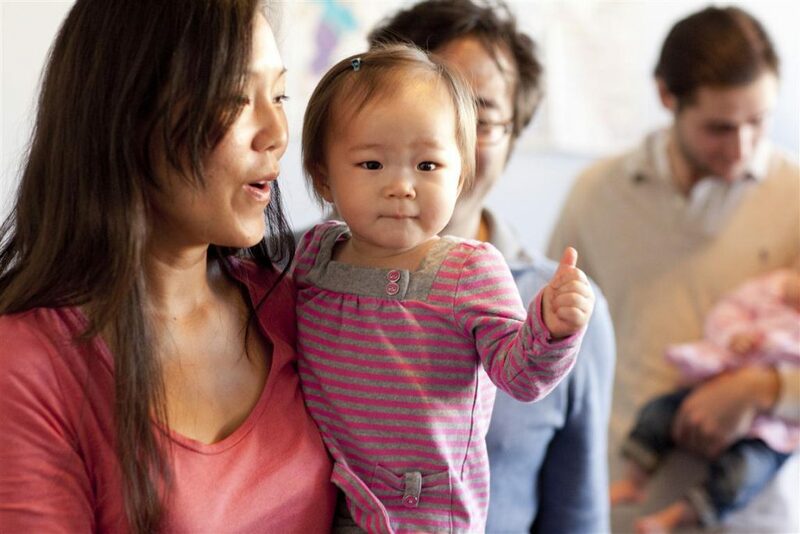 This is how babies first experience verbal back-and-forth communication and learn the patterns that characterize speech. So those seemingly nonsensical sounds are actually quite significant. After all, sounds—which have absolutely no meaning in isolation—are the building blocks of words. 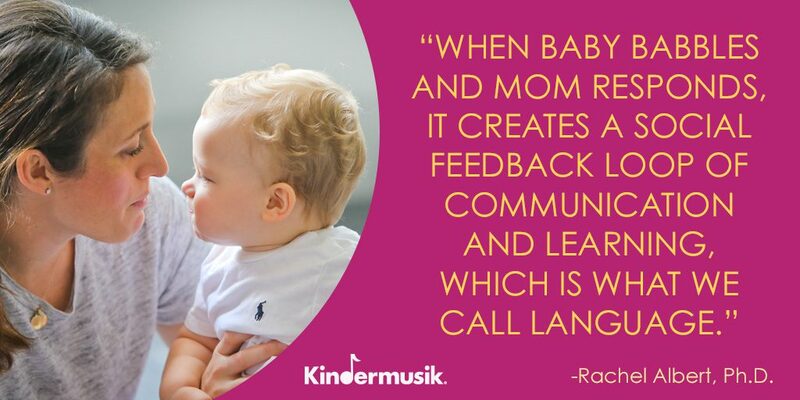 When your baby babbles, he or she is putting together sounds in pleasing ways and learning how our language works. Babbling also helps develop the muscles a child needs to speak. To help your child begin to develop listening ears as well as speaking skills, focus attention on specific sounds: “What’s that sound? It’s a dog barking. Woof, woof!” Don’t be surprised if the sounds then become part of your child’s babbling vocabulary. Don’t be afraid to use that high-pitched sing-song voice that comes so naturally when you’re talking to a baby. This type of speech, characterized by a slower cadence, shorter sentences, exaggerated intonation, and lots of repetition, is known as “motherese,” or “child-directed speech.” Research suggests that speaking to your child this way can actually boost their language development and learning, since babies are better able to attend to and understand “motherese” than regular adult speech. Whenever you talk to your baby, be sure to make eye contact. This is a very important part of meaningful communication. Even if your baby can’t answer you in words, you’ll know from his or her facial expressions that he or she is participating in the conversation. This comes as no surprise, but it’s a good idea to put away your phone when you’re spending quality time with your baby. Save texts, emails, and calls for later, and just focus on your child. Continually glancing at your screen not only interrupts the critical one-on-one interaction that teaches your baby about communication, but also distracts you from the important cues your child is giving you. Every parent waits for that magical moment when a child first says “Mama” or “Dada.” But that will come in each baby’s own time, not according to any particular schedule. It’s good to have a sense of the typical language development trajectory and milestones, but it’s a broad range, so try not to get too caught up on specific deadlines. In the meantime, keep up that back-and-forth babbling! As with almost everything, music makes it more fun and interesting. And (surprise!) we even have some babble-friendly suggestions for you: Try singing along to “Dipidu” during your morning routine—during diapering, feeding, or dressing. And play “Bubbles on Me” during bath time, so your baby can practice forming syllables as he or she blows buh-buh-buh bubbles in the tub. These are the moments when you truly realize how important you are as your baby’s first teacher. To learn more about Kindermusik’s classes, products, and school and home solutions, visit www.kindermusik.com. The post Babble On…It Benefits Baby! appeared first on Minds On Music - Kindermusik.